Crock Pot Mozzarella Chicken and Rice - Recipes That Crock! 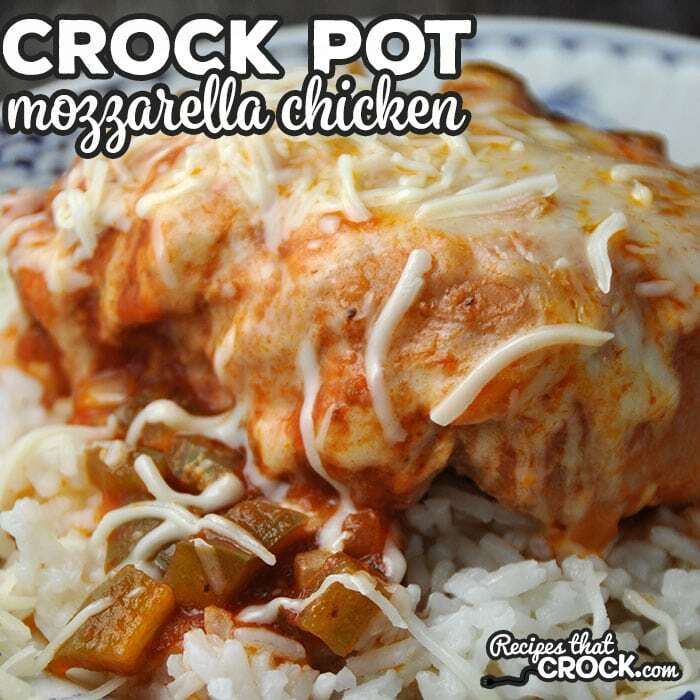 This Crock Pot Mozzarella Chicken and Rice is a cinch to make and gives you a flavorful dish to devour! You’re gonna love it! Note: We use referral link for the products we love. 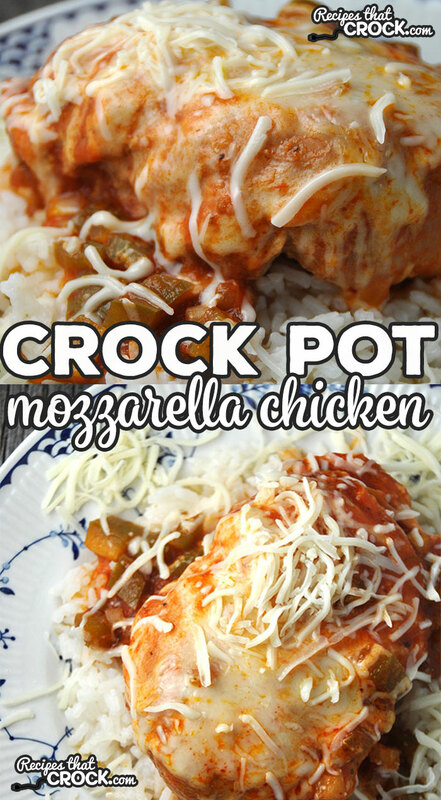 This Crock Pot Mozzarella Chicken and Rice that I found in Gooseberry Patch’s Slow Cooker to the Rescue is so good! The only real “prep work” you have to do is chopping up half and onion and one green pepper. Even this meal-prep-challenged girl can do that in no time flat! And four hours later, you have have a delicious meal just waiting for you to devour! 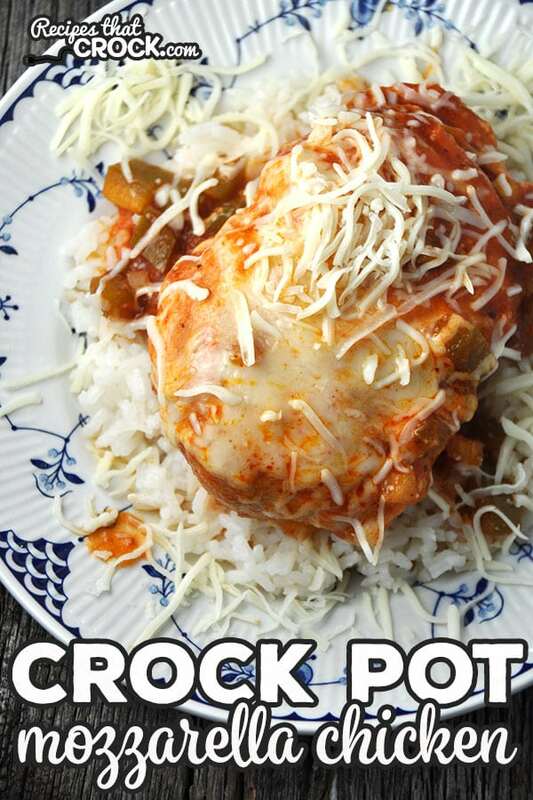 Put your chicken in a 4-quart crock pot. Sprinkle your salt, pepper, onion and green peppers on top of your chicken. Pour your pasta over everything. Cover and cook on low for 4-5 hours. Once your chicken has reached a safe temperature, give it all a stir. Sprinkle your cheese on top. Cover and cook another 5 minutes until the cheese is melted. Serve your chicken, cheese and sauce over rice. 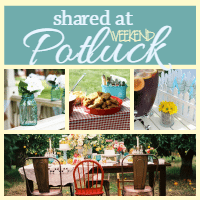 If you need more servings, go ahead and double the recipe and use a 6-quart crock pot. I have not tried doubling the recipe, but would say that the cooking time should be similar. Be sure and watch it closely the first time you make it to be sure. 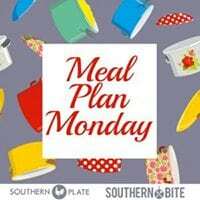 Put your chicken in a 4-quart crock pot. Sprinkle your salt, pepper, onion and green peppers on top of your chicken. Pour your pasta sauce over everything. Once your chicken has reached a safe temperature, give it all a stir. Sprinkle your cheese on top. Cover and cook another 5 minutes until the cheese is melted. Serve your chicken, cheese and sauce over rice.